One of Mexico’s top cyclists, Flavio de Luna has looked outside his home country for a place in the professional peloton. He’s not alone. Flavio de Luna was depressed in France. It was 2010 and de Luna, one of Mexico’s best cyclists of this generation, was racing a European campaign in his first year with Canada’s Pro Continental squad SpiderTech. De Luna had endured three months of dreary weather and furious racing; often he was not fast enough to even finish the events. The blend of culture shock and the speed of the European peloton was overwhelming; it also showed de Luna exactly what was lacking from Mexico’s process for developing young cyclists. De Luna was one of Mexico’s top talents, yet he had never traveled abroad with a development program to prepare him for the next level. Rather, he had worked under the direction of a single coach for much of his time in Mexico. There was an enormous chasm between his preparation and the life he found in the European peloton. Eight years after that moment, very little has changed within Mexico’s cycling system, de Luna says. De Luna believes Mexico’s cycling development still needs to change if the country’s top riders want to succeed overseas. The country lacks an under-23 development program, and Mexico’s national racing calendar is shrinking — races often change dates at a moment’s notice. The lack of anti-doping infrastructure means riders often feel like they are competing against a peloton with two speeds. 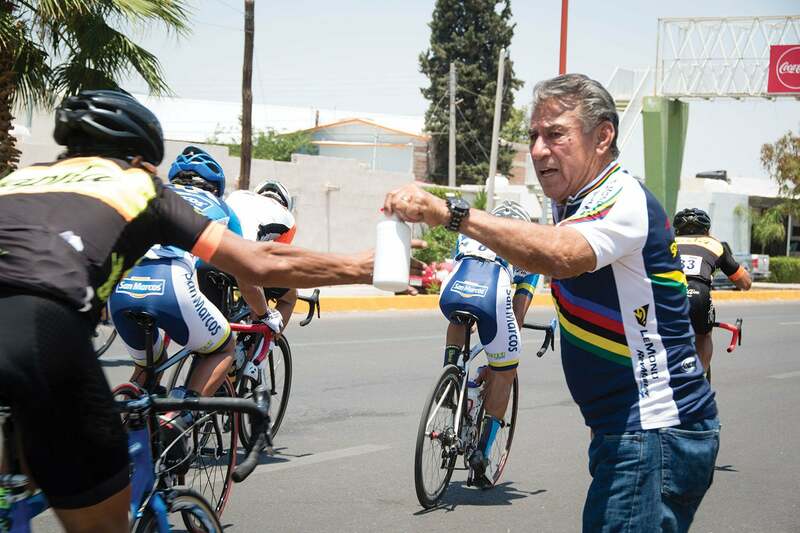 De Luna places much of the blame at the feet of Mexico’s cycling federation, the Federación Mexicana de Ciclismo. The Mexican federation says it simply lacks the resources to fund such operations. These days it is focused primarily on youth development and looking for further financial support from outside sponsors. Due to this reality, Mexican riders often look to the U.S. domestic racing scene as the only opportunity for development and advancement. Over the years, a plethora of Mexican cyclists have ventured north to compete on UCI Continental teams such as Jelly Belly-Maxxis, Aevolo, and 303 Project, among other teams. These riders have also worked with a handful of dedicated coaches in Mexico to help them find their way. The system works, however, it is not guaranteed to graduate any of these riders to the top of the sport. IT’S BEEN 30 YEARS since the high point of Mexican cycling when Raúl Alcalá and Miguel Arroyo raced alongside Greg LeMond and Andy Hampsten in Europe. Alcalá became the first to compete in the Tour de France, winning the best young rider’s jersey in 1987. He went on to win two Tour stages and help Andy Hampsten win the 1988 Giro d’Italia. Back then the federation played little part in each man’s ascension. Both were coached by Otto Jacome, Greg LeMond’s soigneur, and both credit their first opportunities abroad to their coaches rather than national programs. Today, the situation remains unchanged. Espinosa admits many riders tend to find teams abroad and leave the country — something the federation is trying to change. For now, it is focusing on junior development. De Luna came up against this roadblock leading into the first year of his career. Rather than race in Mexico, he decided to race in the United States. The move made him a trendsetter for Mexican racing — in subsequent years more Mexicans went to race in the U.S.
A talented junior, de Luna grew up racing in Aguascalientes in central Mexico. His rise through the Mexican ranks was due in part to his relationship with his coach, Klement Capliar, who had a long stint coaching in the United States and Canada. De Luna showed signs of talent, and Capliar thought he could develop him into a world-class rider. A native of Czechoslovakia, Capliar moved to Mexico to coach young athletes after coaching handball and other sports in the United States. He saw that the country’s best riders received little support from the federation and wanted to change that. Capliar says the Mexican federation had courted him with a job. Working with the federation would have meant giving up his autonomy, so he declined. With de Luna, Capliar started with basic workouts, building the rider’s base. The training sessions were rigorous and regimented. De Luna was required to show up early each morning. Capliar tended to do the cooking and massage, after regular sessions of motorpacing. Not long after, de Luna was joined by his cousin, Luís Lemus, and rider Rene Corella. Apart from Capliar, other individuals are also investing their time and energy to help get Mexican riders to the top. Jacome continues to train athletes but now on the junior level in the northern part of the country. Retired Spanish pro David Plaza, who helped kick-start the new SwapIt/Agolico team, and Siddharta Camil, sport director and team manager for Canel’s-Specialized, are both working hard to advance Mexican women’s teams. As a result of his work with Capliar, de Luna was focused on racing abroad. The lack of structure, access to new equipment, and minimal support drove him away from remaining in Mexico to race. So in 2009, he began to look north of the border to continue his career. In 2010, de Luna inked a deal to ride with SpiderTech. MEXICO’S CYCLING LEAGUES ARE divided by state associations. They feature fast, competitive racing. However, the scene is extremely insular. A good result in Mexico rarely gets a rider noticed abroad. Fewer races on the calendar mean fewer chances for riders to hone their skills, both when it comes to tactics and bike handling. As Jacome sees it, the national racing calendar is not the only problem. The long-time veteran has been frustrated with the cycling culture in the country and the federation for years. He now encourages talented riders to leave the country if they want to continue in the sport. According to Jacome, many of the state associations work autonomously from the federation, leaving the race calendar without structure, giving no incentive for riders to purchase race licenses, and reducing anti-doping measures. Jacome often finds cyclists utilizing old-fashioned techniques of training as hard as they can for as long as they can. Heading into the 2013 season, de Luna was left for six months without a team after SpiderTech lost its title sponsor and failed to secure financial backing to continue. It is a theme that has continued throughout de Luna’s career. He was 21 when he signed with SpiderTech. Earning Pro Continental money at such a young age, he chose to skip university. He has had opportunities to leave the sport, but cycling is all he knows. 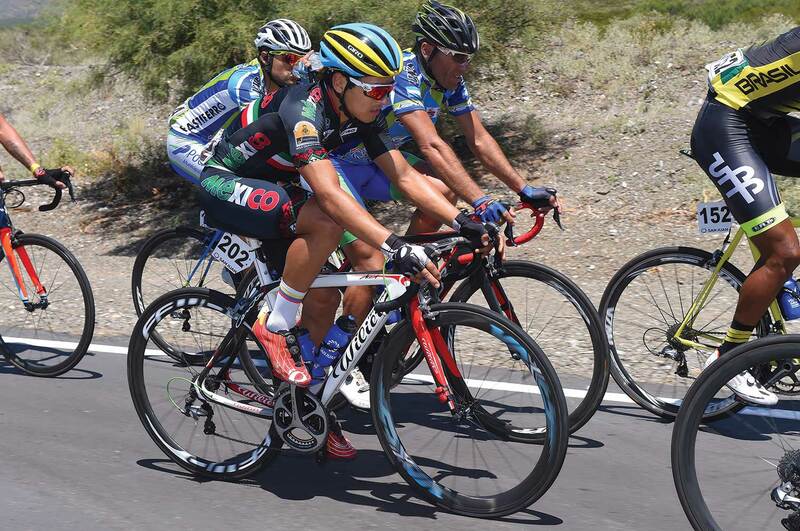 After his first years with SpiderTech, de Luna signed with Team SmartStop in 2013. He considered racing with Canel’s-Specialized, the only professional men’s team in Mexico. The two parties discussed a contract; however, they never finalized an agreement. At SmartStop, de Luna was under pressure to perform right away. 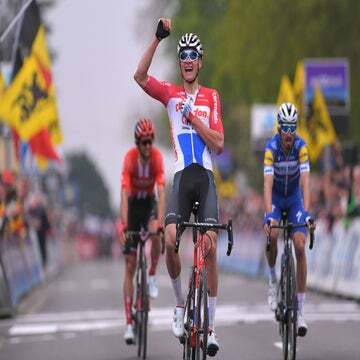 He won the king of the mountains prize at the Cascade Classic in 2013 and agreed to stay with the team for two more seasons. The team signed Travis McCabe and Eric Marcotte, and had a magical year in 2015, winning a stage at the Tour of Utah and the overall at the Tour of the Gila. The success didn’t last, as the team faced financial problems and was forced to disband in 2016. The software company Cylance covered the finances in the final months without SmartStop. 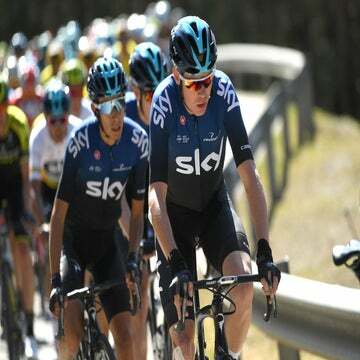 They promised contracts for 2016 before they chose to start a completely new program, leaving many of the riders, including de Luna, without a team. De Luna then signed with Team Illuminate for 2016 and admits it was a bad move. He left the team before season’s end and spent most of 2017 opting for guest rides, in search of something more permanent. After reaching out to everyone he knew, he called the budding 303 Project team, which he had met at the Redlands Bicycle Classic. It was a last-ditch effort, but they soon agreed to a contract. In recent years there has been a surge of signings from Mexico in the United States pro peloton, from Alfredo Rodriguez and Eder Frayre at Elevate-KHS, to Ulises Castillo and Rene Corella at Jelly Belly, to Luis Villalobos and Fernando Islas at Aevolo, and Tony Baca who joined de Luna at 303 Project. Many team directors sign the up-and-coming talents to their programs with confidence, but it hasn’t always been this way. De Luna is the rider that many of his compatriot’s credit with opening the door for the current generation. De Luna says while he is happy to see more riders with contracts, the same problems still exist at home.